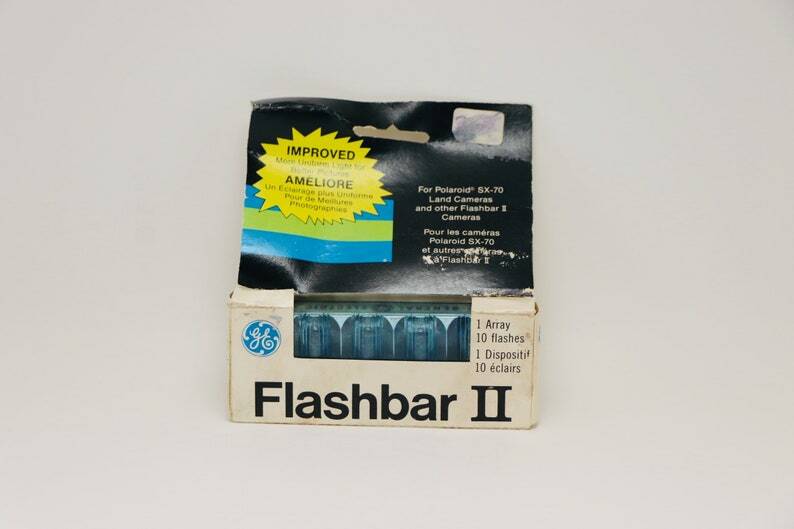 Here is a vintage still in original box Flashbar II for Polaroid SX-70 Land Cameras and other Flashbar II cameras. 1 Array, 10 flashes. More uniform light for better pictures. The packaging is a little rough, the Flashbar appears to be good. Made in the USA.